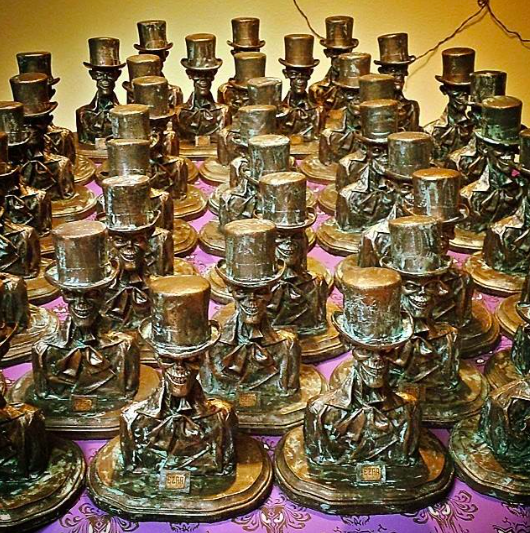 Recently, Disneyland celebrated the 45th anniversary of the Haunted Mansion with a merchandise event at the Main Street Art Gallery, just outside of the lobby for Great Moments with Mr. Lincoln. 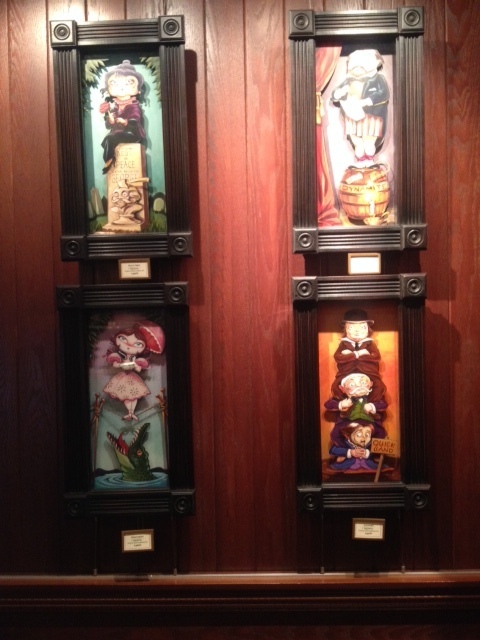 Dozens of original pieces were created for the special event where certain pieces were also available online as well. 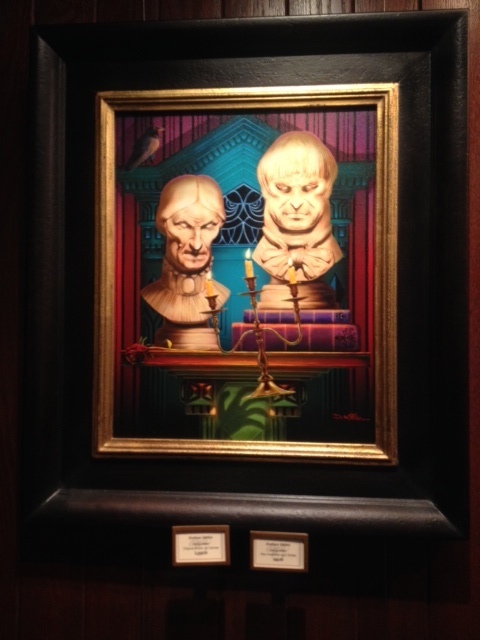 Original busts, framed portraits and figurines were commissioned from various artists just for the special anniversary event. 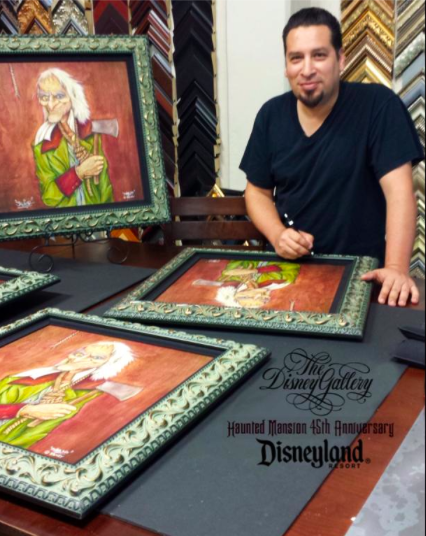 Recently I got a chance to chat with Javier Soto, an artist who lives in Southern California. 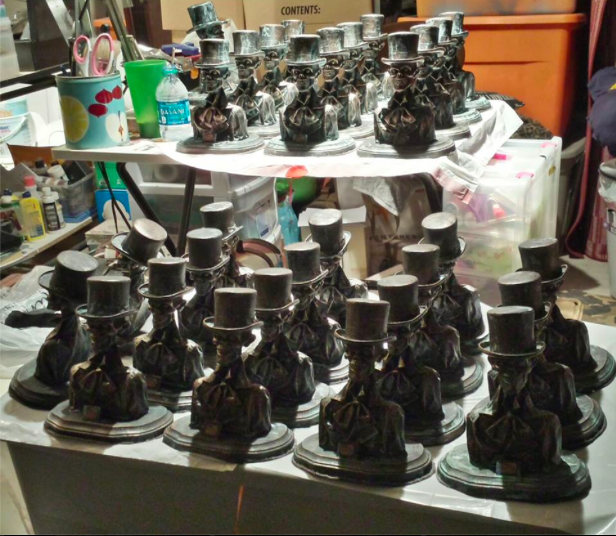 His contributions to the Haunted Mansion merchandise event were a portrait of the “Hatchet Man” and two different busts of “Ezra,” one of the hitchhiking ghosts. 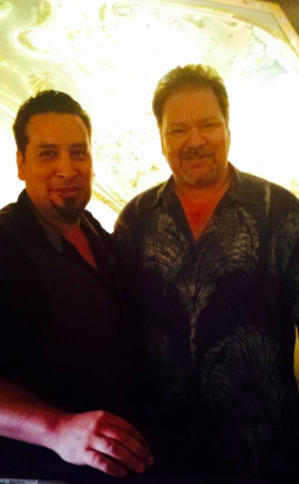 I recently got a chance to chat with Javier about his career and his love for all things theme parks. Enjoy! JY: How did you wind up in the themed entertainment business? JS: I actually started doing various apprentice positions around Hollywood and started doing work for the film business. I did a lot of movie make up effects at first and I wound up working for a company called Gentle Giant Studios in Burbank and eventually became their Special Project Manager. I worked on all kinds of stuff from the “Pirates of the Caribbean” films, to the first three “Spider-Man” movies to the recent “Alice in Wonderland” movie that Tim Burton directed. JY: Why did you make the jump from working on various big budget movies to themed entertainment? 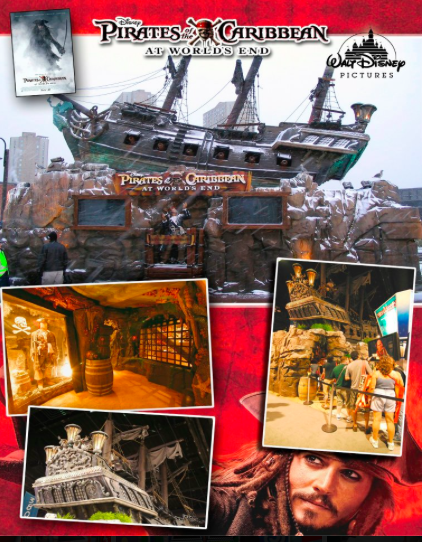 JS: Basically, I love theme parks. 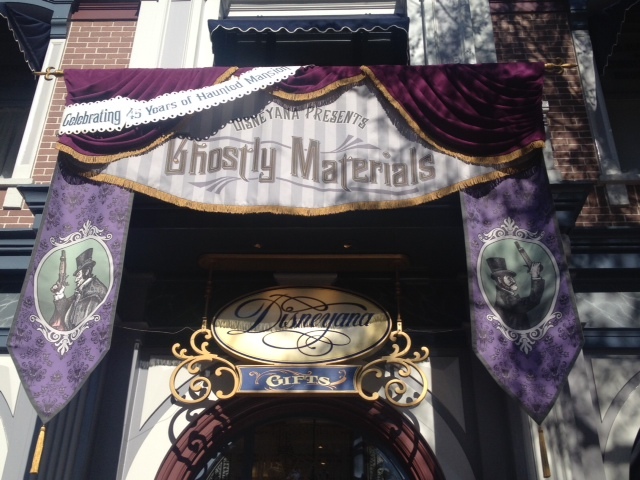 I have always been fascinated with them since I was a little kid and the Haunted Mansion is my absolute favorite. JY: Who did you start working for to get your foot in the door? JS: In 2009, I started working for Daniels Wood Land, a company that specializes in three dimensional environments, often carved from wood. 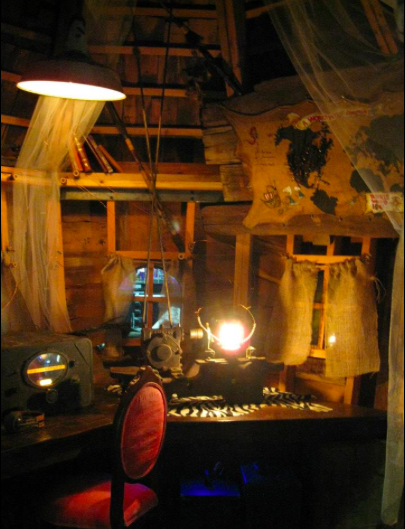 They make anything from interactive shooting galleries, to movie props to immersive treehouses. JY: Yea! I have seen their work and they are always my favorite booth at IAAPA [International Association of Amusement Parks and Attractions ] every year. 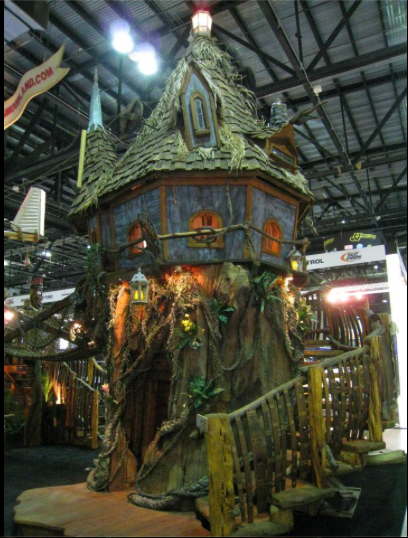 The treehouses they create on the show floor are like entering a different world! JS: Thanks, that means a lot. I was very instrumental in helping to put those treehouses together and I really wanted to make it feel like you are in a completely different place off the show floor. We are very proud of those. JY: What other projects did you work on for them? 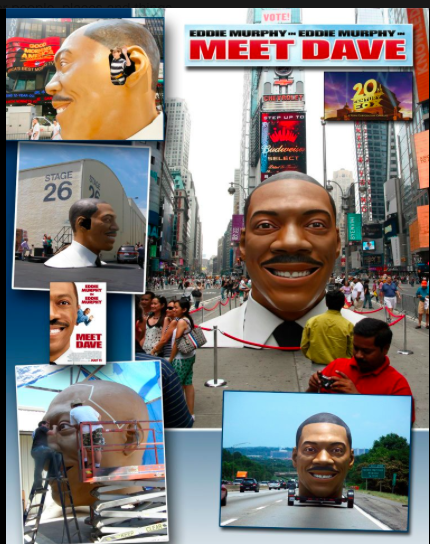 JS: I created a giant version of Eddie Murphy’s head to help promote the movie “Meet Dave.” It was one of the craziest projects I have ever done. JY: Now you are working for Garner Holt. What is your role like there? JS: I am the Senior Dimensional Creative guy, meaning I help sculpt and design the animatronic figures. JY: Are there any projects that you are particularly proud of? JS: When Garner did the refurbishment of the Timber Mountain Log Ride at Knott’s Berry Farm, I actually supplied the body form for one of the figures! Granted, it’s not my head, however, if you see a guy laying down in a hammock in one of the scenes inside the mountain, that is my body. 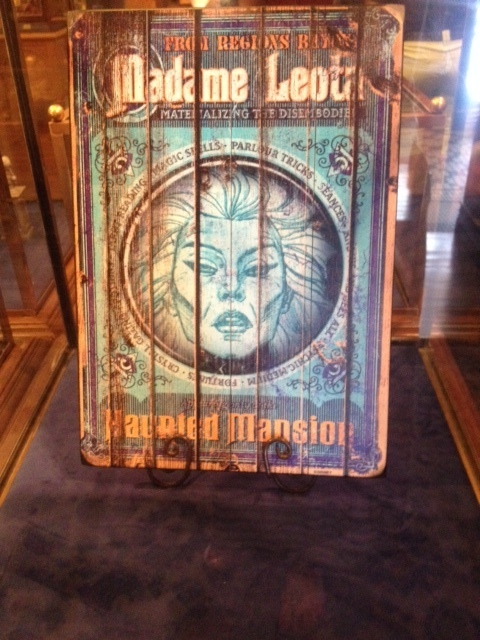 It’s an honor to be immortalized in an attraction forever like that! JY: How many merchandise pieces have you made for Disney Parks? 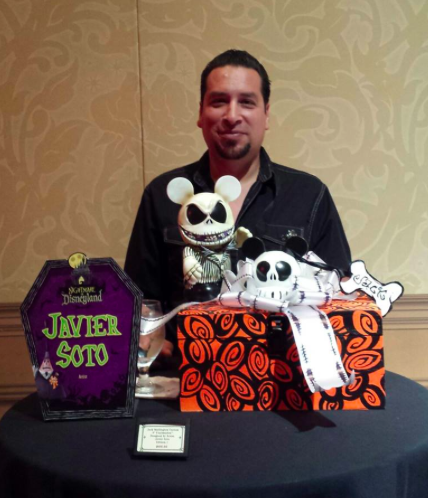 JS: I have done quite a few Vinylmations for certain events as well as the Haunted Mansion pieces I created for the 40th and 45th anniversary. In addition, I created a seven-inch Indiana Jones figure back in 2008. 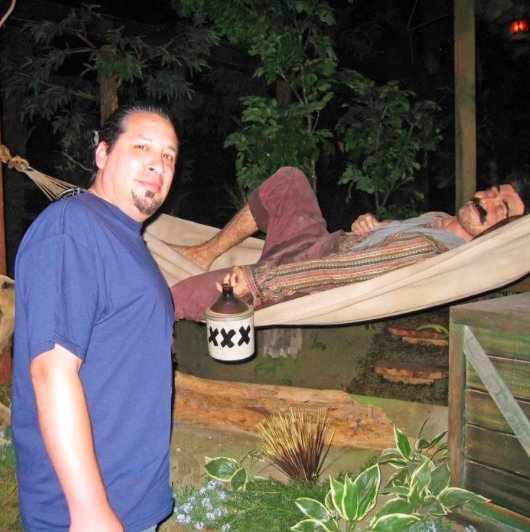 Editor’s Note: Thanks to Javier for chatting with me and we look forward to see more of his work in theme parks in the future! This entry was posted in Disney, News and tagged Daniels Wood Land, Garner Holt, Gentle Giant, Haunted Mansion, Javier Soto, Timber Mountain Log Ride. Bookmark the permalink. Trackbacks are closed, but you can post a comment.